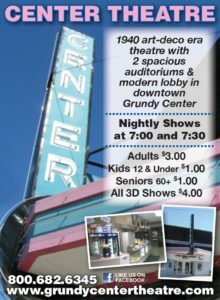 Historic Art-Deco era Theatre in heart of downtown Grundy Center. 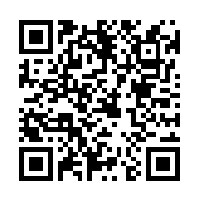 Current 2D & 3D movies & concessions at reasonable prices! Friendly, small-town living at its best! FRIDAYS ARE 50 CENT FRIDAYS AT THE CENTER THEATRE! WHEN YOU ATTEND A MOVIE ON FRIDAY NIGHT, RECEIVE YOUR CHOICE OF ANY DRINK FOR JUST 50 CENTS!